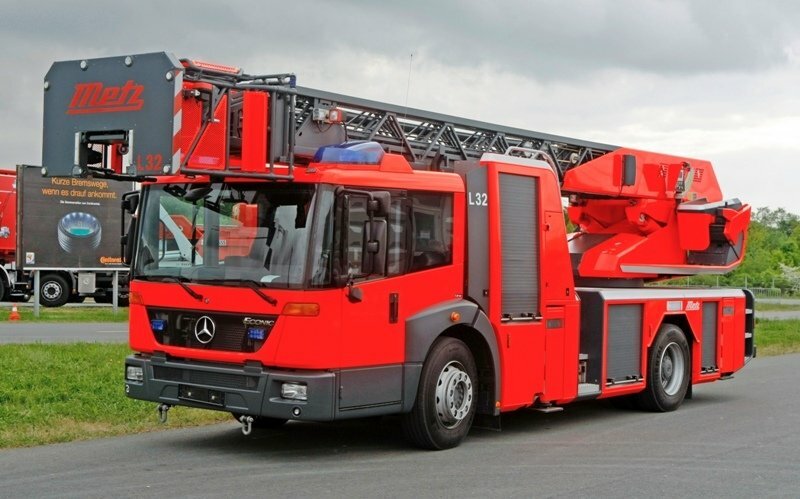 The Mercedes Benz Econic was designed as a versatile vocational truck which can serve to a very wide range of applications including refuse, fire and emergency airport services, delivery etc. 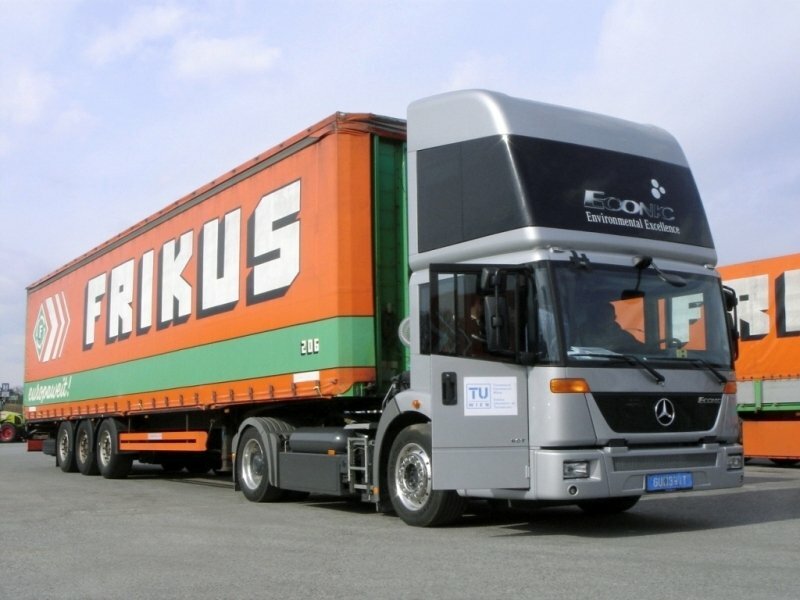 TheMercedes Benz Econic received its latest upgrades in 2010 when it was equipped with a more efficient Euro 4 engine with Blue technology and a new folding door with a wider opening. 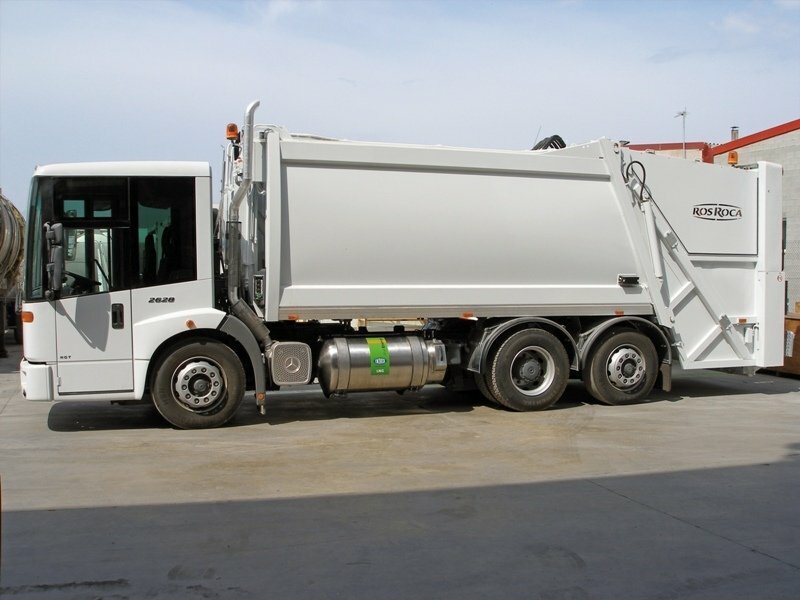 The Econic is available with high-roof cab (1935 mm height, 2280 mm width and 2000 mm length) and low-roof cab (1485 mm height, 2280 mm width and 2000 mm length). The exterior design of the Mercedes Benz Econic is pretty unconventional due to its massive flat windshield that reminds of a bus. 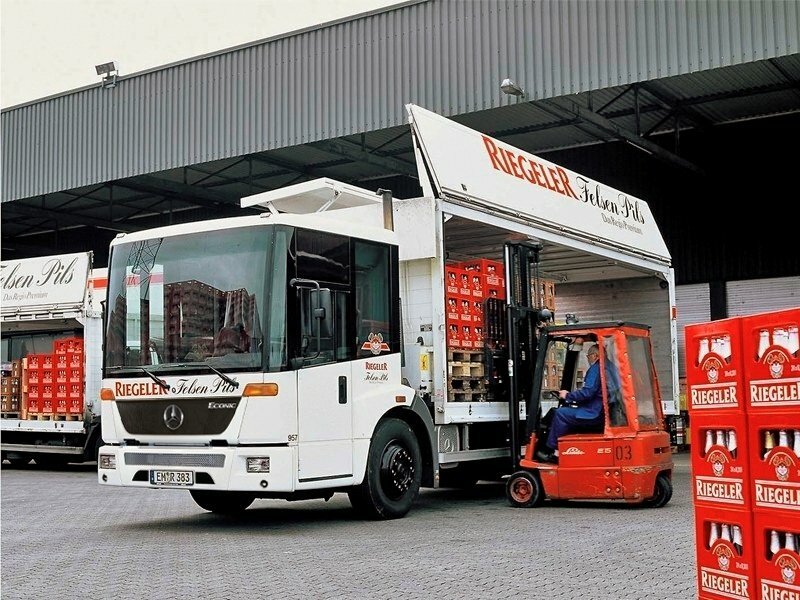 As the truck was designed especially for urban applications, it features a cab forward configuration which gives it a better maneuverability on the narrow streets. Other interesting design elements are the turning lights which are mounted under the windshield and not into the bumper as we usually see at other trucks in the segment. Mercedes adopted this position as it considered safer and easier to see by the other cars from the street, compared to the conventional emplacement. The front grille has a tasty “V” shape pattern, borrowed from its bigger siblings and despite its relatively basic design it doesn’t look out of place. 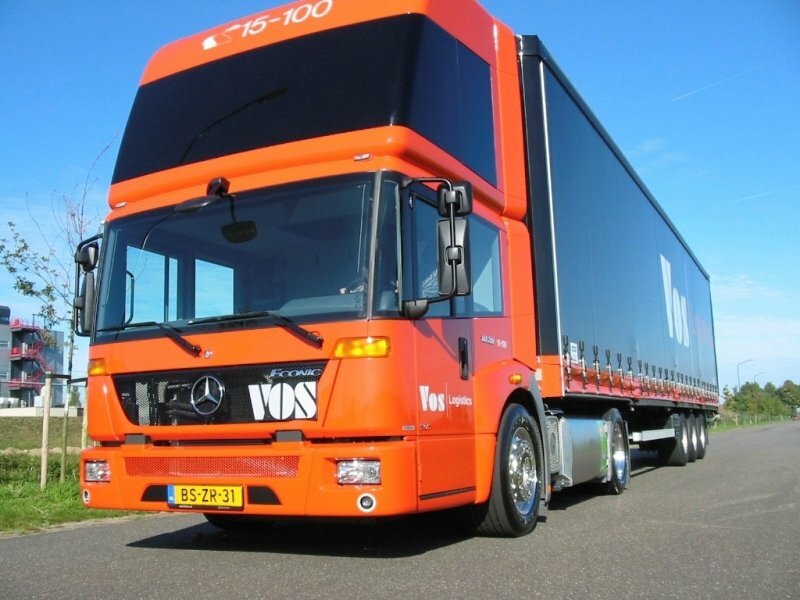 The bumper is nicely integrated into the rest of the design and is fitted with two rectangular headlights which complete the utilitarian look of the truck. 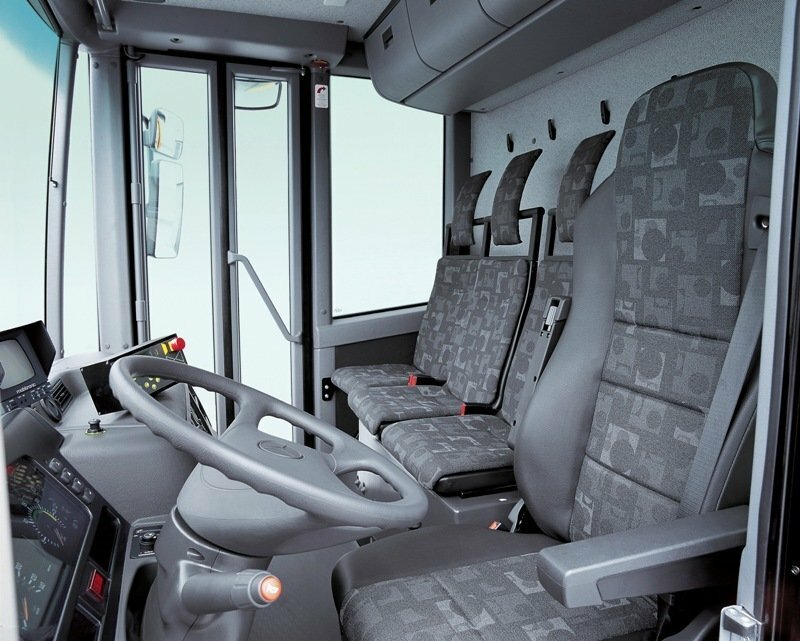 The Econic features an innovative low floor concept which makes it particularly easy to get in and out of the cab. Besides offering a higher level of ergonomy and efficiency, the low-floor concept also offers maximum flexibility when it comes to the range of bodies which can be fitted. Access inside is made almost effortless thanks the very low ground clearance and an ergonomic folding door which is wide enough (620 mm) to permit you easy access. The dashboard design isn’t something to rave about and you’ll find it rather simple. However it looks much better than any other dash in the business and the built quality is also top notch. What do we like even more, is the overall ergonomy which demonstrates once again why Mercedes continues to hold its leader position when it comes to comfort. The interior is surprisingly spacious and offers room for up to four people. The convenient level floor, the interior width of 2,133 mm, the interior length of 1,770 mm and the full standing height of 193 cm in the standard cab provide more than enough space to get cozy without any lack of head-, shoulder- or leg-room. The passenger’s seats are a bit too flat to offer a proper support for a long run, but the driver’s jump seat comes with anything it needs to keep its occupant relaxed and comfortable. It also comes with plenty of adjustments which will help you to find a good driving position in no time. For enhanced comfort the steering wheel can be also adjusted for height. The driving position is surprisingly low and this is a bit strange for a truck, as most of them have a high driving position. However, despite the low position the all-round visibility is not affected as the big panoramic glass area that surrounds you offers a superb visibility. We also find this position more adequate for urban driving as it keeps you better informed about what’s going on around the vehicle. All controls are arranged ergonomically for efficient working while the low top edge of the instrument panel improves visibility even further. Mercedes offers pre-installation for communications equipment including four DIN slots in the area above the windscreen which provides easily accessible installation space for the tachograph, Toll Collect unit or FleetBoard unit. The engines were especially engineered to cope with different stop and go situations and frequent use of power take-offs (PTOs). All engines are mated on the tried and tested Allison automatic transmission which comes with push-button controls to reduce the fuel consumption. 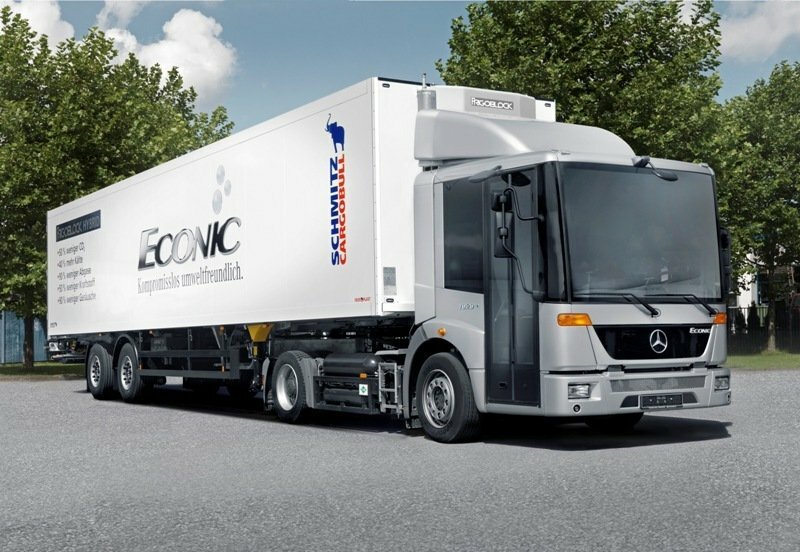 The Mercedes Econic is available with a wide line-up of three 6-cylinder diesel units which develop between 238 hp - 326 hp. 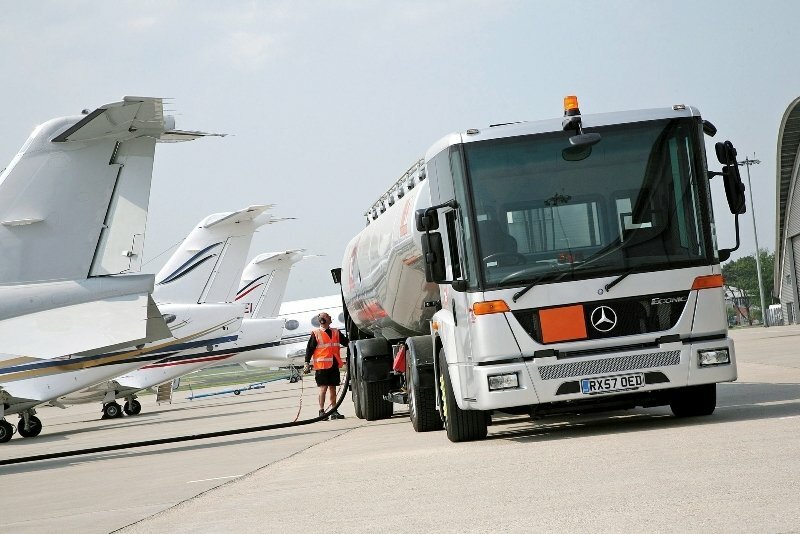 All engines meet the latest Euro 5 emission requirements and are also combined with the company’s efficient BlueTec EEV technology for improved fuel consumption and a smaller impact on the environment. 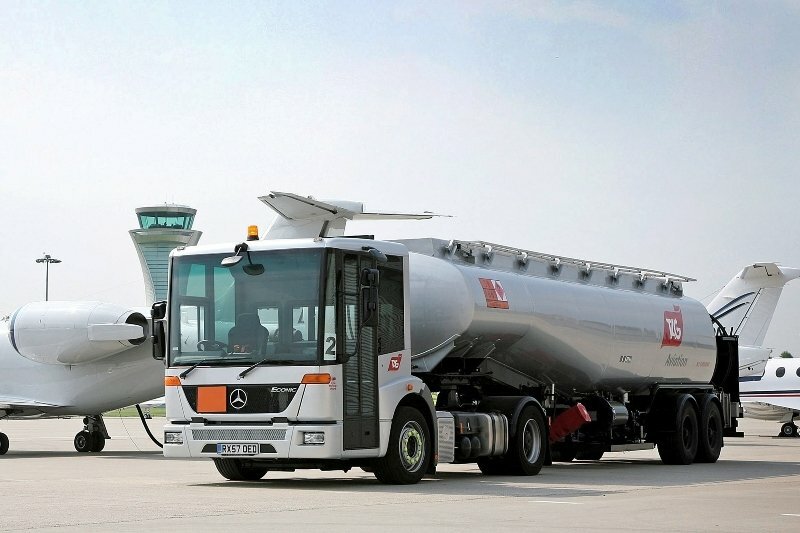 Moreover the Mercedes Benz Econic is also offered with a natural powered gas version. Besides their superior efficiency, the natural gas powered engines also produce with up to 50% less noises compared to their diesel counterparts. 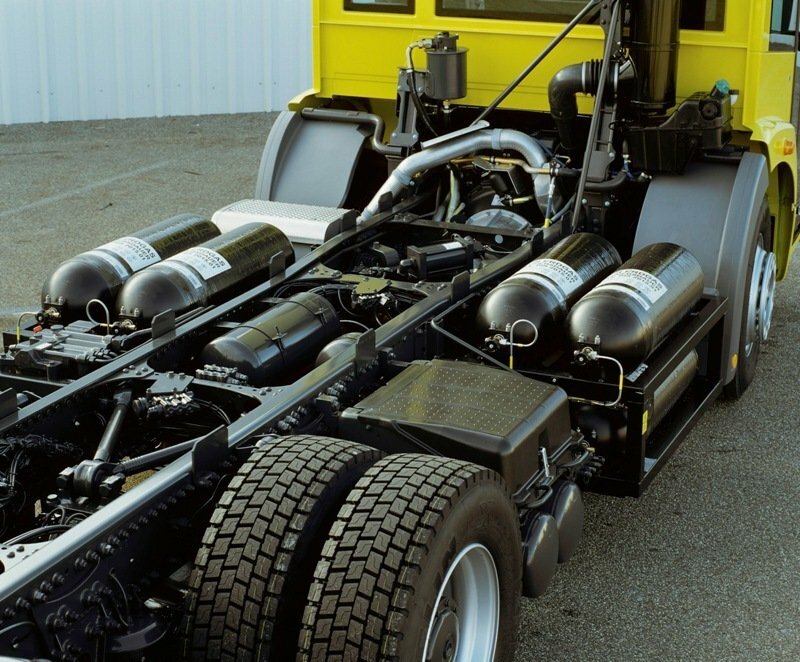 The natural gas powered Mercedes Econic develops a maximum output of 279 hp with a peak torque of 1,000 Nm. Thanks to the low- frame concept the Econetic has a lower center of gravity than the conventional trucks which translates into a better roadholding and a limited body roll. Moreover, the electro-hydraulically steered forward-trailing/trailing axle makes the Econic easy to maneuver. We also like the standard all-round air suspension which comes with an integrated raising/lowering system for maximum comfort. The raising/lowering function allows the Econic to be raised by up to 200 mm and lowered by as much as 60 mm enhancing the truck’s flexibility. 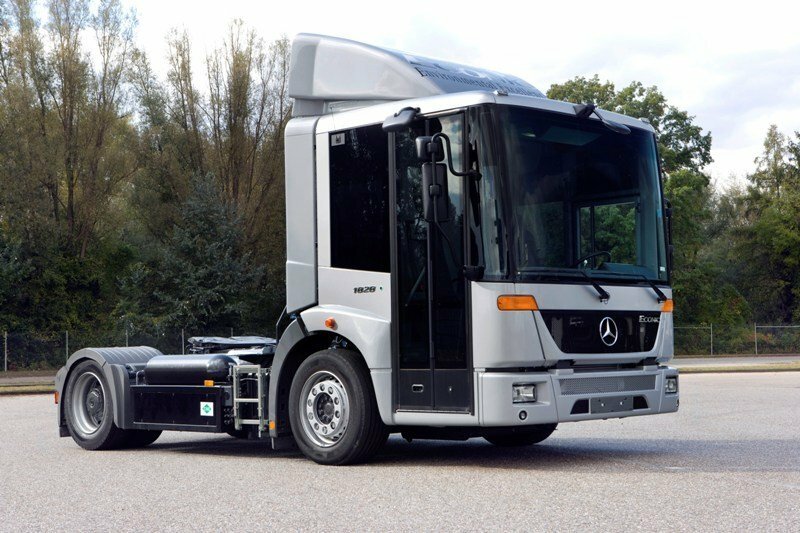 The a Mercedes Benz Econic also comes with a choice of four chassis with wheelbases from 3,450 to 5,100 mm, two, three or four axles, a maximum axle payload of 7.9 tonnes and a permissible gross vehicle weight of 18 to 32 tonnes. 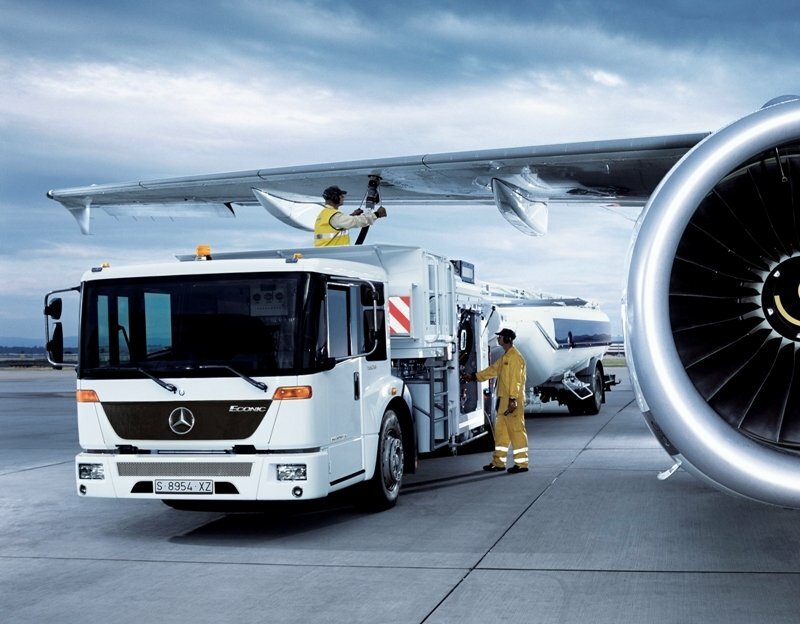 The Mercedes Benz Econic has anything it needs to be able to go head to head with the toughest municipal jobs with ease. The truck is a superb piece of German engineering and it will be hard to find a better vehicle in its class. We also like the innovative low-frame concept which offers a lot of advantages over a conventional configuration. The cabin’s design isn’t something to rave about, but it offers a top notch ergonomy and a adequate comfort for both passengers and driver. The engine lineup is fairly efficient and the truck has plenty of power to deal with anything you’ll ask of it. The only fault remains the price which is a bit higher than other trucks in the segment, but the good part is that it worth every penny.